We need to reeducate and teach correct history. 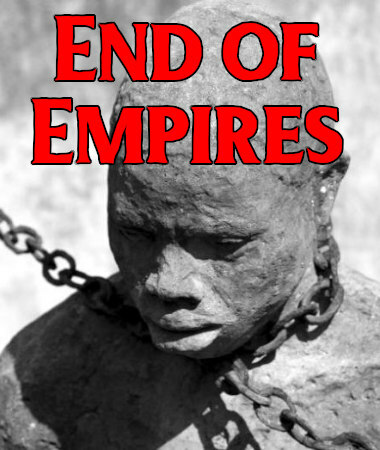 Rather than the greatness of Empires, the true and macabre cruelties which enabled merchant families to enrich by cynical exploitation and enslavement of populations with brutal indifference. Be assured, for the vast majority, the Elitist Empires were and are a daily brutal and demeaning existence. Whether it be the British, Mongol, Ottoman or current Empires America and evolving China, just to name a few. Humanitarian ideals? If only. As we could speak of ALL Empires in such a fashion, we will only speak of a few lost to the sands of time, one current and one emerging. One common iniquity of an Empire is mass murder. Look no further than the Ottoman Empire and the Armenian genocide. Estimated at 1.5 million deaths and the first in the 20th century. Why? Armenian loyalty to the Caliphate was in question, also envy of their prosperity. The Ottoman Committee of Union and Progress, a.k.a. "The Young Turks" carried out the massacre. Does the 'Young Turks' sound familiar? That is likely because of a radical Left Wing internet news/propaganda machine is literally called that. The founder openly denies the Armenian genocide, yet feels to have the moral high ground to virtue signal to the internet masses. The Mongol Empire's total lack of any humanitarian values is easily expressed in their history. Far too many to list. You can read their 10 most brutal moments here. What is interesting to note is that Genghis Khan broke up the Khazarian Empire which migrated to Poland and formed the cradle of Western Jewry, the Ashkenazi Jews. Converts, the lot. The birth of Zionism. More on this will be coming in a future article. The British Empire was not impervious to malpractice. Where children were forced into manual labour. From the coal mining pits to mills, from eight years of age for both boys and girls. Children used to fuel the great Industrial Revolution. Education was almost nonexistent. As for many was food, clothing and any safe living domicile. Penalties were harsh. A simple thing like taking a rabbit to eat carried harsh jail sentences or packed off to the Colonies as manual slaves. Millions lived under harsh suffrage. Cruel, brutal times. Vicious brutality. Ignorant, brutal and avaricious families oppressed and ruled all. Money ruled. Everything and everyone was bought. Law protected only the 'Elites'. Oppression was the only Law. Innocent Africans just simply living as tribes were ambushed by raiding parties of Muslim, Portuguese and Jewish Slave Traders, who shipped them on English slave ships en mass to the Americas. 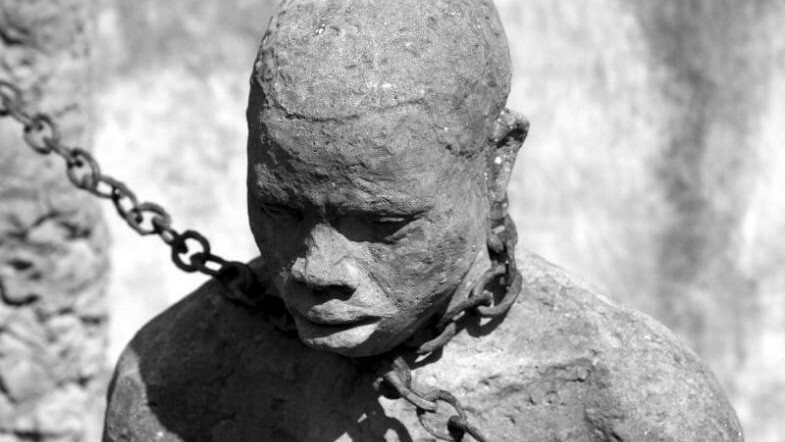 Chained, raped and beaten. Up to 60% would die from disease or brutality just making the voyage. Chained inhumanely in their own filth. Hell on earth. Only to be sold at market to the plantation owners who viewed and treated them as no less than livestock. Mao's China can easily be regarded as as the worst massacre in history, where the deaths are counted in the tens of millions. Stalin's Russia is counted in the tens of millions too, but Mao's China more than doubles any estimation. As Xi 'Leader for Life' Jinping's China evolves with the mass deaths behind them, what does the future hold? A massive surveillance state evolving with CCTV facial recognition and citizen social credit scores - denying all but to a loyal flock. China claims no interest in global hegemony, but an aggressive push into the South China Sea threatening neighbouring county's sovereignty shows us this may not be the case. If history has taught us anything about Empires, it is that the host nation out grows its available resources and must look elsewhere. First taken in trade, then eventually by force. Now America. Its birth was was started on cultural genocide and slavery. Massacres of Native Indians is well documented. It has grown beyond its limits of self sustainability. It has to look elsewhere for resources. Some in trade, others by overt or covert aggression means. America protects its own 'Elites' even at the cost of its own citizenry, by wealth or blood. Global hegemony is the only game in town that holds this house of cards from falling. Ashke-NAZI infestation in America's financial and political sector is crippling. Foreign agents controlling both America's money supply and its so called 'democracy'. What started out as a true spark of freedom for humanity has evolved to this through corruption and open maleficence. Hegemony and its price, which is never nice - genocide. What we need is an End of Empires. As China grows its influence evermore and is challenging America to be the world's most dominating force, what are we to do to save Western culture and ideals? Which Empires in history ended with its culture, ideals and economy intact? How did they do it? What can be done to ensure America shares the same fate? We can look to history for the answer. The answer is Great Britain. The UK created an integrated the Commonwealth, with India and the Colonies. Based on sharing in the Common-Wealth, of others. As such it built a fully integrated global merchant, commodities and merchant banking network of co-dependencies. Post the inevitable collapse of the British Empire, ONLY those key trading links saved the UK. The global dependency on the City of London, not innovation, intellect or forward thinking. Just common monetary dependencies. The central bank and trading centers. Convenience. Intellectual leadership - where? Will McDonald's and Coke save America? America now needs to be included in the Commonwealth or involve itself in a special trading partner pact with it. Brexit is looming, likely more than ever of a 'no deal' hard exit, the UK is ripe for new trade deals. Two great Anglo American Western failed Empires can and need to fight back as global repositioning, each uniting together more closely this way to jointly aspire a better world. One based on intellectual capability and deeply thought out ethereal values for all. One people. Helping all mankind seek and reach the new frontiers of the dimensions and soul. New thinking. New meaning. Mind power, where all matter. Ethereal spiritual values, not vulture profits. End disease, poverty and Ashke-NAZI rule. End false religions and explore true values of being One. Of being more. Truly, great things are now possible. We just need leaders fit to lead. So few in the West are! They ARE the cause of our demise! We have to clear our failings as societies by rethinking and clearing out the dross in politics. Define and restrict only those experienced, intellectually competent, and ethically fit for purpose to hold office. Vision, aptitude and patriotic values. End collective corruption. It’s time the money long owed and due for redemptions many, many years ago, is released. Funding Anglo American recovery, not weapons. Funding Global recovery for all via releasing the funds of the trusting ally lenders now reneged on for decades. Ethical conduct. Redeem America’s debts, so many are owed! Bretton Woods system is long over. But to be replaced with what? Fiat currencies have failed us all. Socialistic Europe is deservedly tottering on collapse, like the renowned EU Drunken Commissioner Junker, not least under Brussels expense accounts. We need to save the West, its culture and ideals. We need to rethink money and the purpose of being. Who will lead? One wonders about those in China, North Korea and other Asian countries that use mass numbers of slave labor to work their factories. One billion freed and now earning a more honest wage? Is it possible? Opportunities for their children in education and better academics as a result of a better diet? Is this possible?